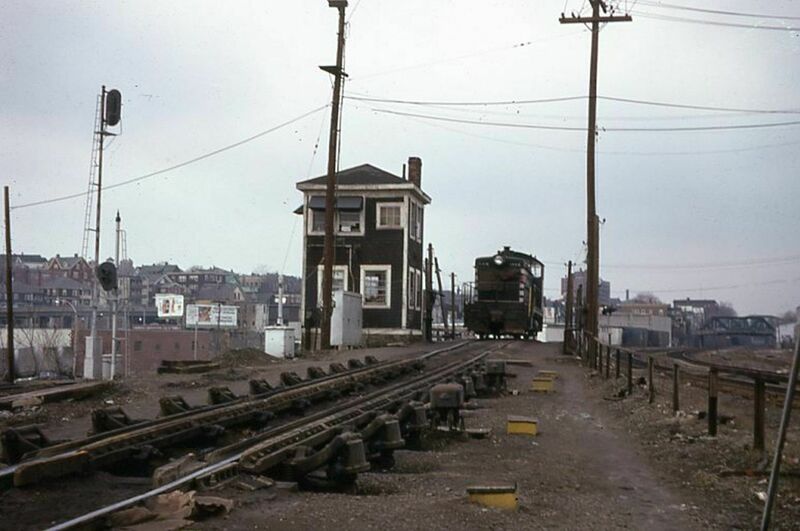 As viewed from the vicinity of the first retarder at the Mystic Yard in Somerville, long ago before it was gentrified and "sanctuarified" and was still a gritty working class town. SW-9 #1208 takes a break from shoving cars. Photographed by Ron DeFilippo, April, 1969. Added to the photo archive by Ron DeFilippo, February 12, 2019.